What you see here is very much the blueprint for post-war Mild. About 3% ABV and lightly hopped. 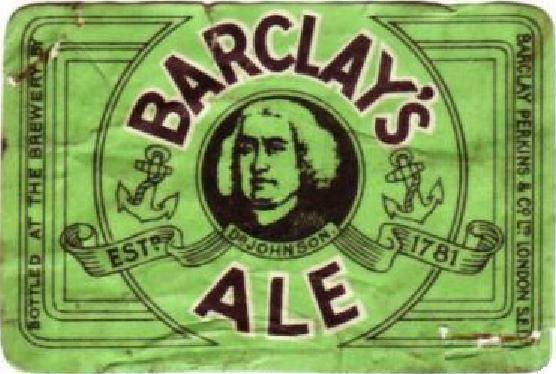 The type of beer that springs to mind when the word Mild is mentioned today. Remember that those were just the characteristics of the final version. 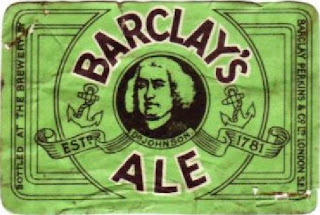 A couple of decades earlier, it was a very different beer. Advanced Mash – There was a short under let but the single infusion worked pretty much exactly like the multi-infusion. Kristen- Where do you get your invert sugar? I know you can make it at home, but its hard to hit a target you have never seen. Many home brew shops in the UK sell it. In the US get in good with a bakery or a bakers shop as they usually have it or can get it. I would suggest making it at home your first time through. You are trying to get close. It depends on how good your blackstrap is. Its a good starting point. If it helps, I use 2/3 white sugar and 1/3 demerara sugar, water and tartaric acid for invert no. 1. I simmer this for a few minutes until it becomes a syrup, and go. This yields a really nice light amber/honey color. For invert 2, I use all demerara, and cook using the same process as for invert 1. All demerara produces a rich dark, cherry, tone, quickly, with a nice caramel flavor. For No. 3, again all denerra, but I let it simmer for quite a while, adding water as needed. The longer it's cooked, the darker it gets. 1) Invert sugar won't darken on its own. At cool temperatures it won't get much darker than a pale golden wheat color. 2 hours at up to 253 degrees yields a syrup the color of pale apple juice. 2) Cooking at temperatures below 266F (130C) promotes a positive colloidal charge. Good for beer as the proteins have a positive charge. Otherwise the sugar will bind with the proteins and drop out as brown sludge. Test your sugar by putting a few drops in a glass and mixing with beer. Let it sit overnight and see if anything drops out. 3) Blackstrap is a more concentrated version of conventional molasses. It's good for coloring and/or promoting the Maillard reaction (because of the proteins and amino acids). 4) Adding a small amount (1/8oz per 2lb sugar) will take clear invert to a "Golden Syrup" color. Cook this below 266F for another 3 hours and you’ll get something that looks like espresso. 5) Nobody advertises their products as “good quality” blackstrap. No clue what a good versus a bad one tastes like. 6) Diammonium Phosphate can be used to synthesize the stuff needed to produce a Maillard reaction. Effectively this is how Caramel Class III (e150c) is created. Best I can tell all the US manufacturers of caramel claim that Class III is the only one appropriate for beer due to the positive colloidal charge. Ragus, in the UK, uses e150a. Not sure how they can do that and get it to be beer stable. 7) I believe DAP can be used in lieu of an acid as it will also acidify the solution. DAP will also yield a dark sugar but without the molasses taste. 8) To make caramel I think you’ll need to cook this ammonium solution, below 266F, for many hours. I’ve seen 2 to 7 hours quoted depending on the caramel class. I tried recently but heated over 300. 2 hours. Not only was it not as dark as the commercial stuff (which was class IV), but it dropped out after mixing with beer. The commercial stuff will turn a 12 ounce glass of water black with 1/4 tsp. 9) Caramelizing fructose (thanks to the inversion process) promotes red hues in the sugar. I think with commercial caramel they use mostly or all glucose. 10) Belgian sugar is a whole different beast that seems to defy sugar physics. It’s dark, supposedly 100% plain white sucrose based, doesn’t used acids, ammonias or any sort of molasses, and it’s highly fermentable. Witchcraft I tell ya. 11) Commercial caramel is made by boiling in a vacuum. It’s also hard to source at the consumer level. I have yet to come across any beer stable caramel color available for purchase. Baker’s caramel may or may not work depending on the class. So far all I’ve seen in powdered baker’s caramel is Class IV, which won’t work. Adrian - #1 is only true if you use white cane sugar. Several articles here show that demerara sugar is the way to go for brewers inverts. Demerara invert syrup will color fairly rapidly - turning very dark (40 SRM) after 3 hours or so at 240F. "#1 is only true if you use white cane sugar." I guess I wasn't clear. That was exactly my point. Demerara, Turbinado, Muscovado, Jaggery, hell even regular ole American style "brown sugar" will do just as you say thanks to the molasses content of the sugar. Cooking sucrose + blackstrap will do the same thing. When I say "on it's own", I mean just sucrose in it's purest form. i.e. refined white sugar. I'm fairly sure this is the type of sugar that sugar companies today start with to make their brewing sugars. From there they acid invert, add glucose, and then colorize using molasses. At least that's how they do it at one company. According to what I was told, cooking plain invert sugar (not the raw stuff containing molasses) will only bring the color up to "100 to 200 EBC and looks more wheat yellow rather than brown or black." Incidentally, I tried making caramel color again only to find that it looks to be impossible in the home setting. Cooked for 5 hours below 260 degrees and it still came out much lighter than the commercial stuff and failed the "beer test". Looks like I'll need to continue my seach for a commerial product that's compatible with beer.